Dr. Lantsman is known and recognized for her ability to diagnose and to offer relief of symptoms from unidentified etiology, and for finding underlying causes and addressing the effects of chronic diseases, such as tick born illness, underactive thyroid, obesity, type 2 diabetes, high blood pressure, gastrointestinal disorders, hormone imbalance including low testosterone and others, fatigue, mood disorders, and various other maladies. Trained and Board Certified in Internal Medicine, Dr. Lantsman was fortunate to begin her studies in integrative medicine during residency, where she spent one of her clinical rotations at Beth Israel Center for Health and Healing in Manhattan, New York. 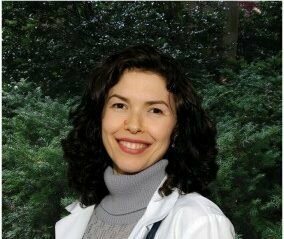 After having completed her residency at Lenox Hill hospital, she joined a rapidly paced medical practice on Upper East Side of Manhattan. Dr. Lantsman determined that even minimal nutritional interventions made tremendous difference for her patients: the curing of life long illnesses, avoiding surgeries, and contributing to people’s immediate well-being and lowering fatigue. Subsequently, she created her own integrative medical practice in Scarsdale, New York. Having treated many patients infected with Lyme disease in her practice in Scarsdale, Dr. Lantsman participated in a training program with Dr. Richard Horowitz of Poughkeepsie, NY, which was sponsored by The International Lyme and Associated Diseases Society. Dr. Lantsman makes sure to constantly learn any new trends and discoveries in Medicine, reading current medical journals, attending major medical conferences and collaborating with colleagues. Dr. Lantsman practices what she preaches, keeping a gluten free and dairy free household, preparing for her family unprocessed whole foods low in carbohydrates and rich with vegetables, fruits, nuts, organic meats and wild fish. She enjoys running, weight training and hot yoga. As a student at a school of meditation, Clairvision.org, Katherine practices morning meditation and other techniques to grow spiritually.